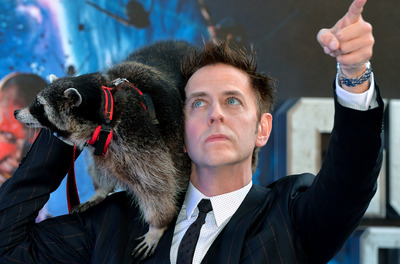 According to TheWrap and io9, Gunn could potentially direct the film, as well. Gunn was fired by Disney in July from directing the third “Guardians of the Galaxy” movie after years-old offensive tweets from Gunn were uncovered. Nearly three months after being fired by Disney from Marvel’s “Guardians of the Galaxy 3,” director James Gunn will write and possibly direct “Suicide Squad 2” for DC and Warner Bros.
Business Insider was able to confirm with Warner Bros. that Gunn will indeed write “Suicide Squad 2,” though it’s not certain if he’ll also direct the film. TheWrap first reported the news on Tuesday, citing anonymous sources. Then io9 wrote that it had confirmed with Warner Bros. that Gunn is in talks to write, with an eye to direct, the sequel. Gunn was fired in July from the third “Guardians” movie after conservative personalities uncovered years-old tweets from Gunn that he had apologised for in the past, in which he joked about child abuse. Disney has shown no signs of re-hiring him, despite the entire “Guardians” cast releasing an open letter in support of the director. Disney CEO Bob Iger recently told The Hollywood Reporter that he doesn’t regret the decision. David Ayer directed the first “Suicide Squad,” which was released in 2016 to poor reviews as part of the DC Extended Universe. Gunn writing and possibly directing a sequel is a big steal for DC, especially as it aims to compete with the Marvel Cinematic Universe. guardians of the galaxy guardians of the galaxy vol. 3 james gunn marvel cinematic universe sai suicide squad thewire-us warner bros.